The drama many people in China are talking about is not a TV show. It is the real-life mystery surrounding Chongqing's famous police chief and deputy mayor. 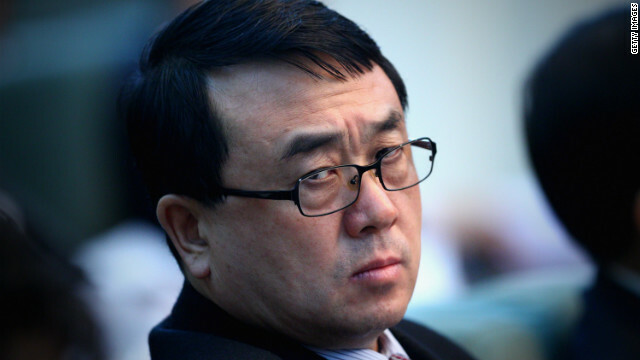 Wang Lijun was suddenly stripped of his security post late last week. On Wednesday, the government announced on its official microblog that he is on leave for "stress." A bit of background is needed to understand why this is getting so much attention. Chongqing is the world's largest megacity. It is well known for its crackdown on corruption. Police arrested thousands of suspected gangsters and crooked local officials on 2009. Wang led efforts to clean up Chongqing. Many city residents hail him as a hero. So his abrupt departure has netizens buzzing. Some say he sought asylum at the U.S. consulate in Chengdu, more than 300 kilometers from Chongqing. The U.S. State Department confirms that Wang had an appointment earlier this week. Spokeswoman Victoria Nuland says, "He did visit the consulate and he later left the consulate of his own volition. So – and obviously, we don’t talk about issues having to do with refugee status, asylum, et cetera." Nuland's comment addressed rumors that Wang had been dragged away by local authorities. She also says the consulate has not heard from him since the meeting. Wang's current whereabouts are unknown. Pictures allegedly showing the U.S. consulate surrounded by police have been censored online in China. The U.S. embassy spokesman in Beijing, Richard Buangan, says, "We are not in a position to comment on issues regarding the security of diplomatic facilities. There was no threat to the Consulate. The U.S. government did not request any increased security around the Consulate." These events are also shining a spotlight on Wang's boss, Bo Xilai. He is Chongqing's communist party leader. Bo had close ties to his deputy. It is widely believed that Bo is poised for a promotion during China's political transition this year. Some Sina Weibo users are speculating about the impact all this could have on Bo's future. Huoxingshixita writes, "Someone in the central government is clearly unhappy with Bo (Xilai)... He might be ruined if he fails to tackle this tricky situation with skill." Others are commenting on the government statement about Wang. At last count, it has been shared more than 61,000 times. It reads, "Due to long-term overwork, a high level of mental stress and physical exhaustion, Vice Mayor Wang Lijun is currently receiving vacation-style treatment following approval." Sina Weibo user Shendongjun says, "The government really understands the art of words. Just look at the new buzzword they created for us: vacation-style treatment." This incident comes shortly ahead of Chinese Vice President Xi Jinping's scheduled visit to Washington. Xi is expected to become China's next president. This really doesnt sound too good. But I've always suspected him to become a liability sometimes in the future, when Bo Xilai attempts to gain the politburo position he longed for. Maybe this was a trade with the influencial factions he had harmed during the anti-corruption campaigns, who demanded the head of Bo's most loyal servant as a pawn-sacrifice, so that he may not become too powerful if he takes over an important position in the central govt. Because, if there's anything central govt. politburo members seemingly lack, are loyal, trusted servants to whom they can delegate task and directives to take care of, since the official executive authority is either completely corrupted, or is fractioned through the power-struggle between different interest-groups, and thus became pretty much useless for everyone.